Detects and blocks viruses, worms, Trojans and other hidden threats in your system. 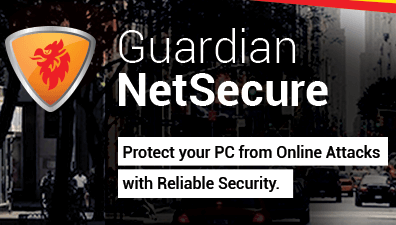 Prevents you from landing on websites that have hidden malware and other malicious codes. Blocks external threats that try to reach your system over the Internet. Rootkits are programs that can gain unauthorized entry into your machine and hide their presence or the presence of other malware. Anti-rootkit detects and blocks such programs. Detects and removes malicious programs called spyware that steal personal and financial details and share the information with malware authors. Detects and removes unwanted and potentially dangerous software hiding in your machine. Automatically scans USB drives for malware infections as soon as they are plugged into your PC. Prevents your keystrokes from getting recorded by data-stealing programs called keyloggers. Detects and stops new and unknown malware threats that most antivirus software don’t. Allows you to opt out of all security notifications and prompts for uninterrupted PC usage. Choosing Silent Mode does not affect the security of your system. A system, when in Safe Mode, remains defenseless against an unauthorized user. This feature ensures that only an authorized user can use the system during Safe Mode. Allows you to schedule a Boot Time Scan on your PC. It scans and cleans all drives before the Operating System triggers any stubborn viruses, rootkits, Trojans, or other malware. 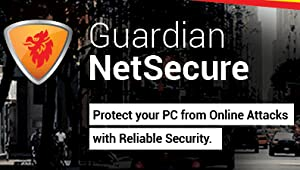 To use Guardian NetSecure, your system must meet the following minimum requirements. However, we recommend that your system should have higher configuration to obtain better results. Helps you start your computer if it becomes infected with a virus and refuses to boot, by scanning and cleaning the machine.